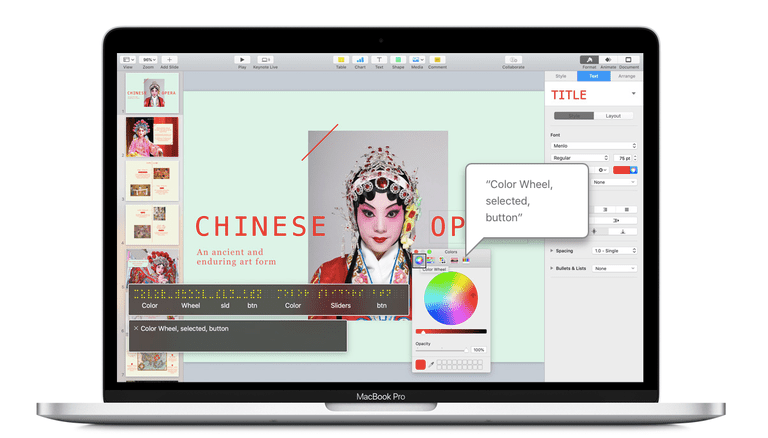 VoiceOver is an extremely useful screen reader built into Mac desktops and laptops. It reads aloud the text of webpages and documents, helping the visually challenged to navigate the internet and use their computers without necessarily seeing everything that's presented to them. However, as helpful as it is, it can sometimes happen that you turn it on by mistake, leaving you in a situation where you have to listen to a narrator constantly talk to you as you go about your web-based business. And even if you haven't switched it on by mistake, you may still want to turn it off at the end of a session. As such, this guide explains how to turn off VoiceOver. It covers how to turn it off using a simple keyboard shortcut, and how to turn it off using System Preferences. The simplest way of turning off VoiceOver involves a two-button keyboard shortcut. All you do is hold down the Command key and press F5. Bear in mind that the Command + F5 shortcut is also used to switch VoiceOver back on, so if you press it again by mistake you will reactivate the feature. Normally, this isn't a problem, since a window pops up and gives you the option of turning it back off immediately. However, this window also gives you the option of checking a box which says, "Do not show this message again," so if you've pressed this in the past you can end up turning on VoiceOver without receiving any immediately obvious notification. A slightly more involved way of turning off VoiceOver involves going to System Preferences. It may be longer, but sometimes it can also be necessary, since macOS gives you the option of turning off the Command + F5 shortcut (although it's hard to switch this off by mistake). Click the check box next to "Turn VoiceOver on or off"